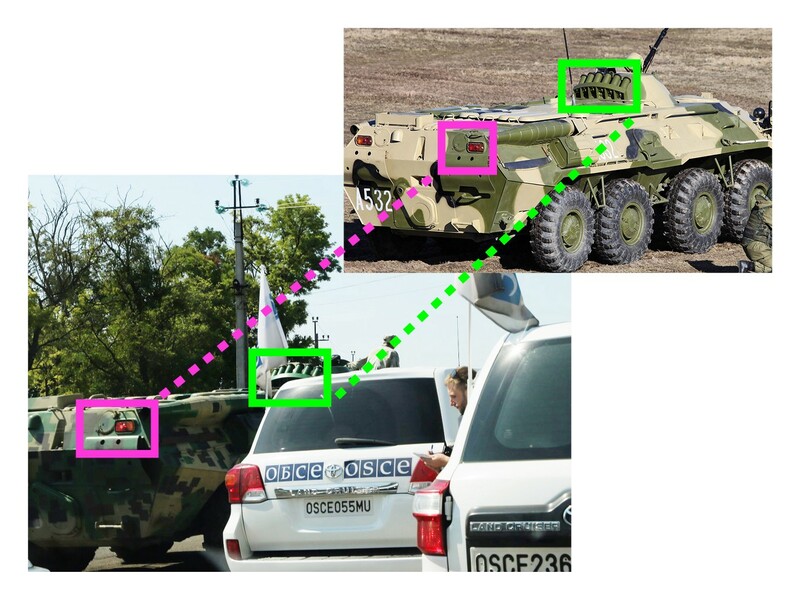 On July 22, the Organization for Security and Co-operation in Europe (OSCE) Special Monitoring Mission (SMM) to Ukraine, while attempting to cross at the non-government-controlled checkpoint near Novoazovsk, Donetsk Oblast, observed multiple “military type” vehicles near the checkpoint. These observations, along with statements from the Ukrainian Armed Forces (UAF) and social media reports within a few days of the SMM’s observations, indicate a possible Russian military buildup along Ukraine’s eastern border. In violation of the Minsk agreements, the so-called “Donetsk People’s Republic” (DNR) denied the SMM access to the Novoazovsk checkpoint, even though it continued to allow other civilian traffic through the same location. The SMM stated that a senior-level member of the DNR intelligence/reconnaissance service cited orders to deny access to the unarmed civilian observing mission. As often reported by the SMM, civilian traffic from government-controlled areas to non-government-controlled areas is fairly frequent. For example, there are regular marshrutkas (shuttle-like minibuses) that travel from Taganrog, Rostov Oblast, Russia, (near Pokrovskoye and Rostov-on-Don) to Mariupol, Donetsk Oblast, Ukraine, stopping at the international border crossing point in Maksimov, Rostov Oblast, Russia, and going through the checkpoint that the SMM was stopped at in Novoazovsk, Donetsk Oblast, Ukraine. The marshrutka route from Taganrog, Russia, to Mariupol, Ukraine, crossing the international border at Maksimov, Russia, and the checkpoint at Novoazovsk. While attempting to cross, the SMM observed one BTR-80 armored personnel carrier (APC) traveling from the direction of Russia to Novoazovsk. During the three-hour wait, the SMM observed five military-type trucks (inscribed with “ТБГ”) transporting men in military-style attire from the direction of Novoazovsk toward Russia. 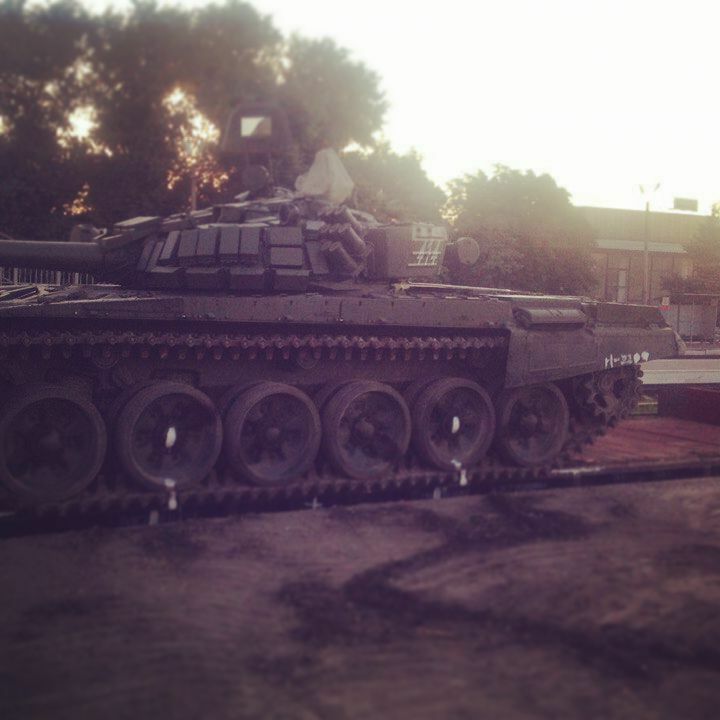 They later saw the same five trucks, empty, returning toward Novoazovsk without the men. These observations may find some explanation in recent statements by the UAF and recent social media reports. Chief of the General Staff and Commander-in-Chief of the Armed Forces of Ukraine Viktor Muzhenko alleged that Russia recently increased its military presence on Ukraine’s eastern border, with three motorized rifle divisions in the Russian cities of Smolensk (144th Motorized Rifle Division), Valuyki (3rd Motorized Rifle Division), and Novocherkassk (150th Motorized Rifle Division). Tweet from “Ukrainska Pravda” about the alleged presence of three Russian military divisions in Smolensk, Valuyki, and Novocherkassk. Social media reports also indicate that there could be a military buildup along the border. 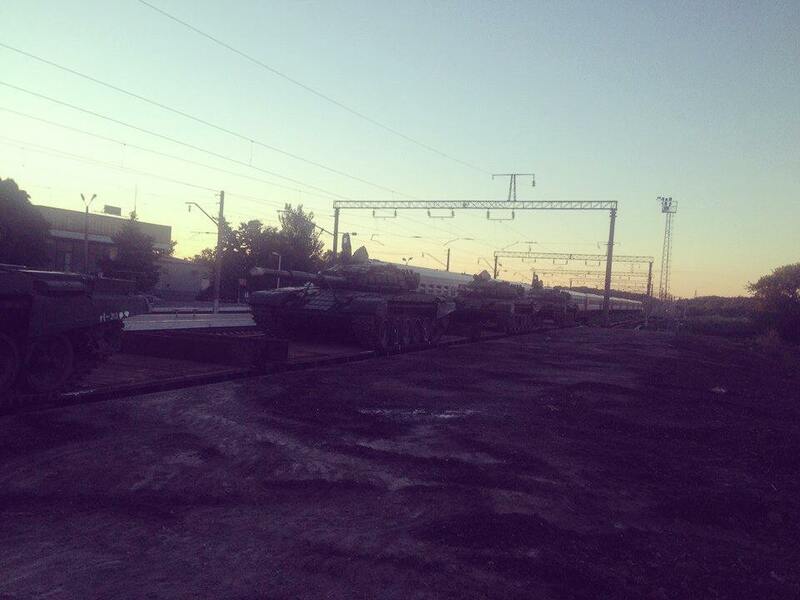 Photos show rows of tanks at a train station in Pokrovskoye, Rostov Oblast, Russia, just west of Rostov-on-Don, where Russia’s Southern Military District is headquartered. 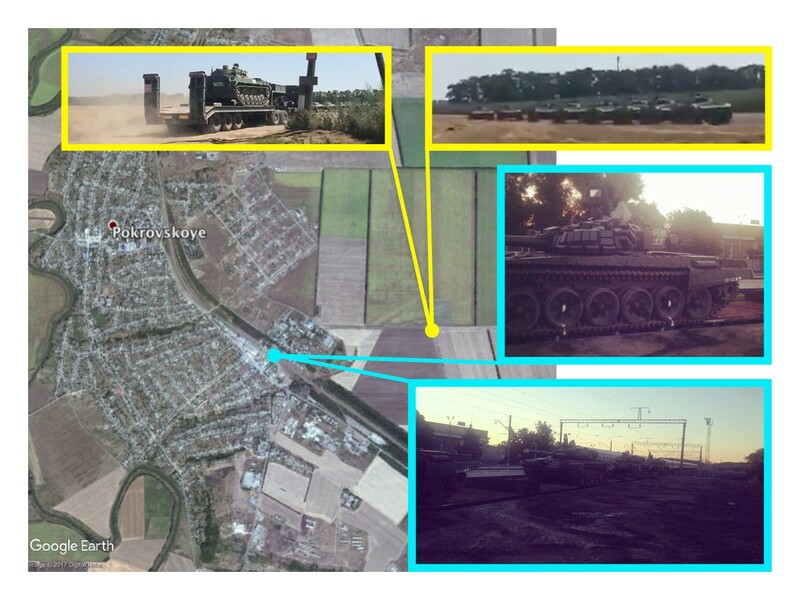 A video shows nine tanks — what appear to be BMP-2 tanks — one marked “131” with a square with a diagonal line in it, in a field near the same train station. Taken together, each piece of information indicate a high likelihood that Russia is moving military equipment into the non-government-controlled areas of eastern Ukraine. This is not necessarily a buildup of military equipment — the SMM observed equipment moving in both directions, so it may be part of a regular rotation schedule. In either case, these actions are in clear violation of the Minsk agreements and are further evidence of Russian military activity within Ukraine’s borders.